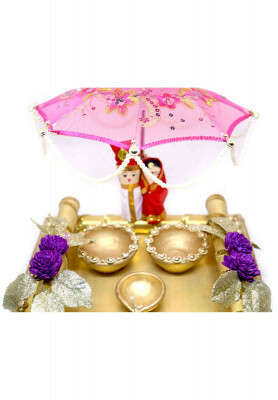 WorkDecorated with Umbrella, doll, leaf, bati, flower, net, stone and puti. 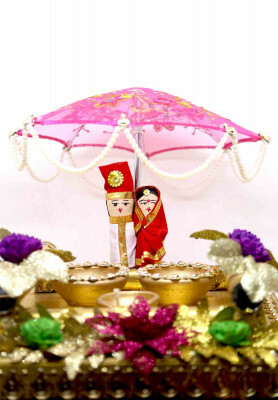 Greatly compliments Bangladeshi wedding tradition, colorfully decorated with doll, umbrella, flower, leaf, stone, net and beads. 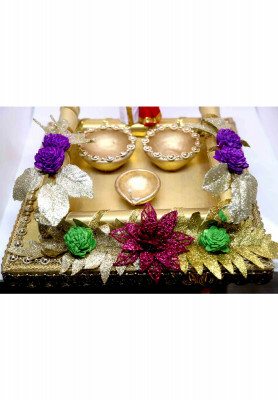 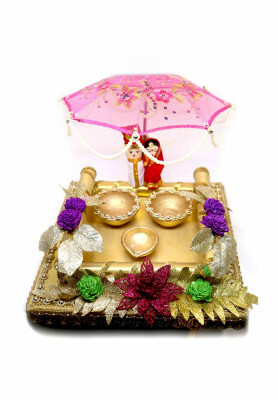 Comes with pink and golden color mixture.